An urban myth, or urban legend, is an inaccurate story that is known by a wide spectrum of the population. “One tell-tale sign of an urban myth is that everyone seems to know someone who knows someone who had the experience in question, but no one has any verifiable proof” (Rockler-Gladen). A popular example of an urban legend, which is thought to have originated at Vanderbilt University, is known as the “Legend of the 4.0.” The legend states that if a student’s roommate dies, then they will receive straight A’s for the academic semester. 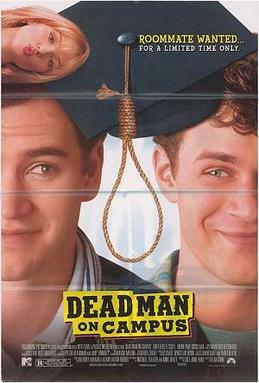 In 1998, the movie Dead Man on Campus made this a popular tale for college campuses all over the United States. However, with this urban legend, and the same with countless others, there is more than one version known. If you hear this legend on more than one college campus, the odds that they will be different is high. Some variations include an accidental death and death from a disease such as cancer or AIDS. Other variations include less than a 4.0 average for the semester, death of someone close to the student other than the roommate, like a family member, or the occurrence of the death while the student is in the same room. In 1997, a graduate from Vanderbilt University in Nashville, named Charlie Kovas, recalls of the tragic event when the student, who was on the football team, fell out of his dorm room window to his death below after an agonizing fight with his girlfriend. "People said, 'Oh, that's awful,' " Kovas said. "Then they said, 'I wonder if his roommate will get straight A's?' We heard that the girlfriend got all A's, and I can tell you with certainty that people believed it" (Vigoda). The example of the football student falling from his window and a couple others make people believe that the “Legend of the 4.0” actually does exist. One semester when a young man at Alfred University in New York hung himself in the bedrooms, a mother of one of the five other roommates called the school and thought her son was eligible to receive a 4.0 for bereavement. While it is believed that some schools will offer consideration and time to grieve for students who come in contact with these situations, there is no evidence that supports the “Legend of the 4.0” or that states any university has a policy regarding it. There is no college that is believed to give good grades to students for the death of a roommate or someone close to them. Rockler-Gladen, Naomi. "Urban Legends about College Life." Suite 101. N.p., 2 Nov. 2008. Web. 10 Oct. 2012. <http://suite101.com/article/urban-myths-about-college-life-a75863>. Vigoda, Ralph. "A College Myth Dies Hard/ Dead Roommate = A's? Only in Hollywood." Philly.com. Philedelphia Inquirer, 20 Sept. 1998. Web. 17 Oct. 2012. Dead Man on Campus. 1998. Photograph. Dead Man on Campus. N.p. : n.p., n.d. N. pag. Web. 18 Oct. 2012. Vanderbilt.edu – This website gives information that leads to thoughts of the legend being formed at Vanderbilt University. Snopes.com – Snopes.com is a website that gives information on many urban legends. It highlights a good many variations of the legend.